What, why, and when are the three questions pet parents ask when it comes to vaccinating their kitty. 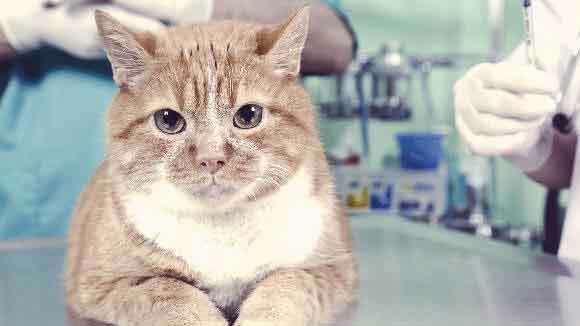 Take a look at this guide on what to expect when it comes to your cat's vaccinations. 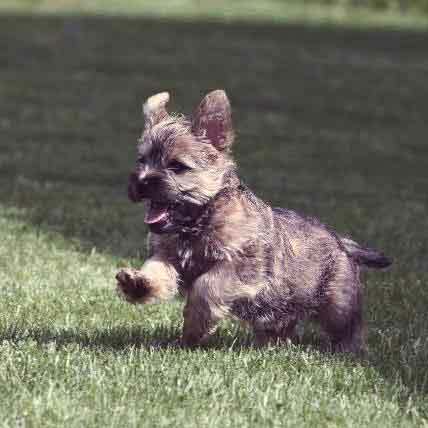 Responsible pet parents think preventatively when it comes to their furry friend's health. 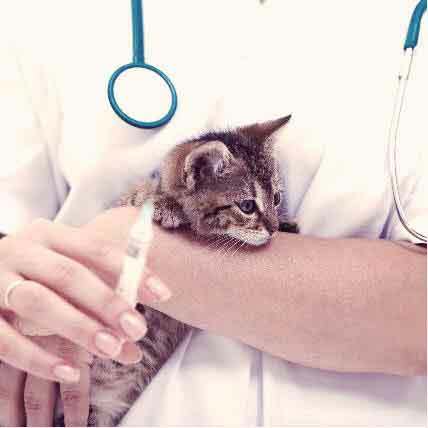 Cat vaccinations are a big part of keeping your cat healthy and happy for years to come. A few vaccines now can prevent life-threatening and costly issues later on. Your veterinarian should help you determine an individualized plan for vaccines and boosters. 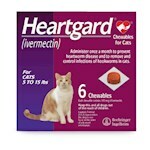 This guide will help explain what vaccines are required, recommended, or redundant for your cat. Keep in mind that laws vary from state to state. Vaccines use antigens to trick the immune system into preparing a response for a disease without actually causing the disease itself. Vaccinating protects your cat by preparing the immune responses to lessen or eliminate the disease. This way, if your cat is ever exposed to the disease, their immune system will recognize the pathogens and respond quicker more efficiently. The first three vaccines are often given as the FVRCP, a three-way vaccine. 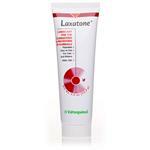 FVRCP stands for feline viral rhinotrachetis (which is herpes), calici, and panleukopenia. Many veterinarians recommend the rabies vaccination as a core vaccine, even in areas not typically affected by the disease, because in many states it is required by law. Ask your vet about local booster requirements, but proof of vaccination against rabies is an almost universal requirement in the US. Non-core vaccines are ones that are not recommended for all cats. Your veterinarian should only recommend a non-core vaccine plan based on your cat’s health and lifestyle. Your vet should be able to clearly explain why your cat is at risk of these diseases before administering these vaccines. When Should My Cat or Kitten Be Vaccinated? 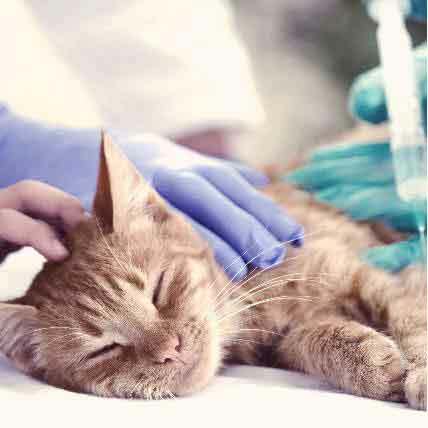 Any vaccination schedule should take into account your cat’s health, and if you’ve adopted a sick pet, your vet might recommend waiting to begin a vaccination regimen until after the illness is cleared up. When your kitten is around 6-8 weeks old, your veterinarian will administer vaccinations every 3-4 weeks, until the kitten reaches about 16 weeks old. Boosters after one year are recommended, and then every three years. Your vet may choose to give the Feline Distemper vaccine a little earlier if the kitten will be in a household with other cats. 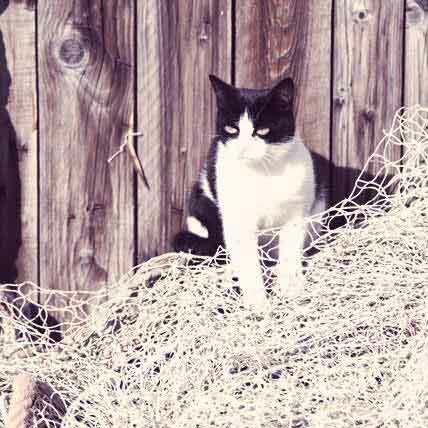 Adult cats might need to be on an annual, or triennial (every three years), vaccine schedule. Your vet will determine the best plan based on local laws, your cat’s age, and health. For example, if you’re adopting an adult cat who has never been vaccinated before, your vet’s plan will be different than an adult cat who just needs booster updates. Don’t be afraid to contact your veterinarian if you’re concerned about a negative reaction after a vaccination. A regular vaccination schedule is a part of a healthy lifestyle for your cat.